The Newport Folk Festival Lineup Gets Even Better, As If That Were Possible! 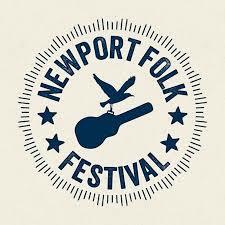 Are The Newport Folk Festival Announcements Finished? The Newport Folk Festival announced only one ‘act’ this week, which makes me wonder if the full lineup is now available. The Newport Folk Festival continues its lineup announcements and the week included another interesting-sounding collaboration! The Newport Folk Festival continues its lineup announcements and the week started with an extremely interesting announcement! The Newport Folk Festival continues its lineup announcements and the week ended with an interesting announcement!